At Beijing Restaurant, we take pride in our food - everything from our sauces to our appetizers is made right in our kitchen. This ensures that our food is of the highest quality. We are a family-owned and operated Chinese restaurant. Since opening our doors in 2001, we have enjoyed serving the Brantford area. We have met many great people over the years, and we look forward to meeting many more in the years to come! We offer both dine-in services and take-out. We deliver to all addresses in Brantford and to most addresses in the surrounding area (e.g., Burford, Paris). 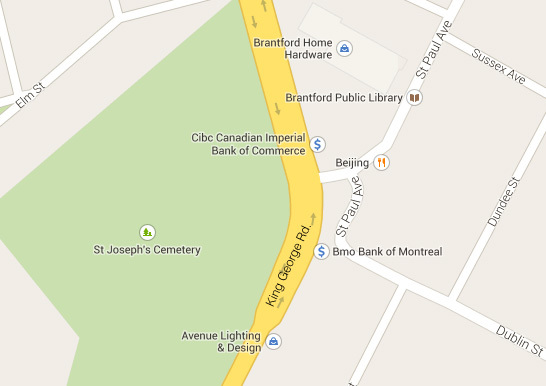 We are located at 435 St. Paul Avenue, right across from Home Hardware (in the same plaza as the Bank of Montreal). Copyright 2001 Beijing Restaurant. All rights reserved.